How Not To Win Friends. 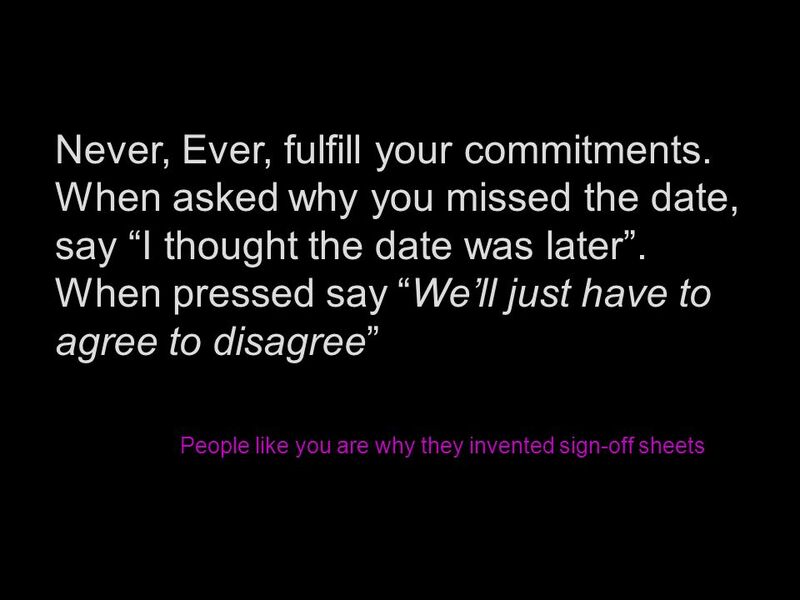 Never, Ever, fulfill your commitments. When asked why you missed the date, say I thought the date was later. When pressed say. 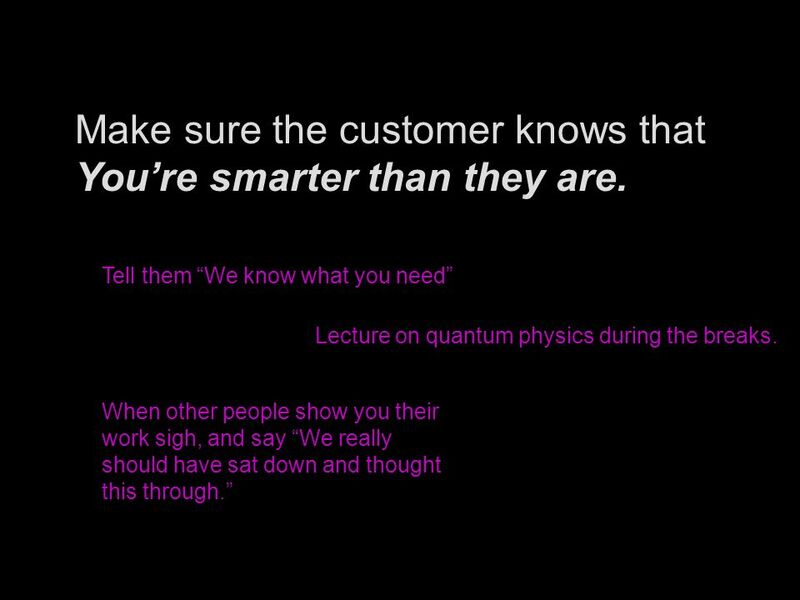 6 Make sure the customer knows that Youre smarter than they are. Tell them We know what you need Lecture on quantum physics during the breaks. 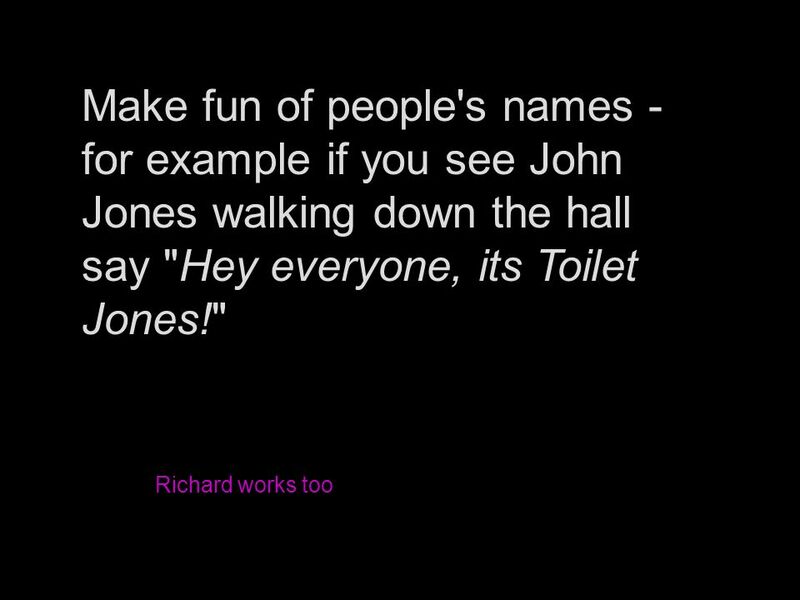 When other people show you their work sigh, and say We really should have sat down and thought this through. 7 Suggest early morning meetings to "get a head start" on something important. 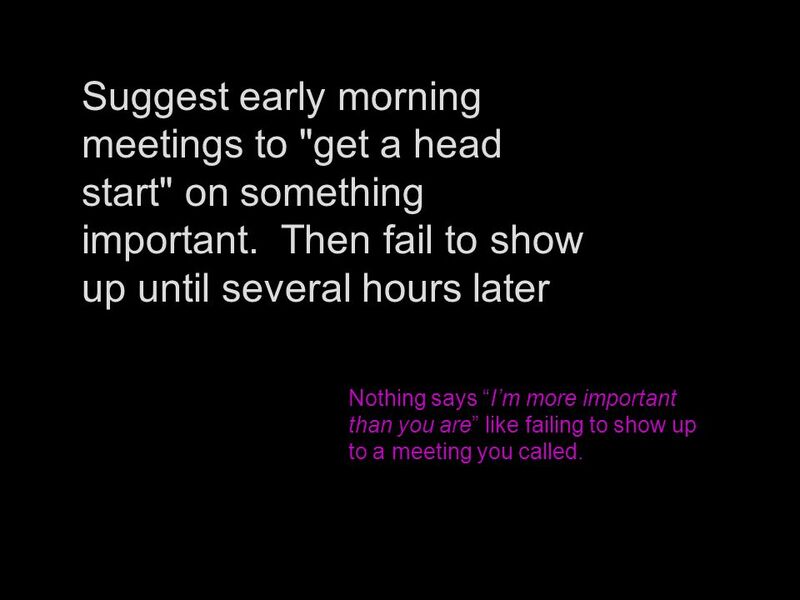 Then fail to show up until several hours later Nothing says Im more important than you are like failing to show up to a meeting you called. 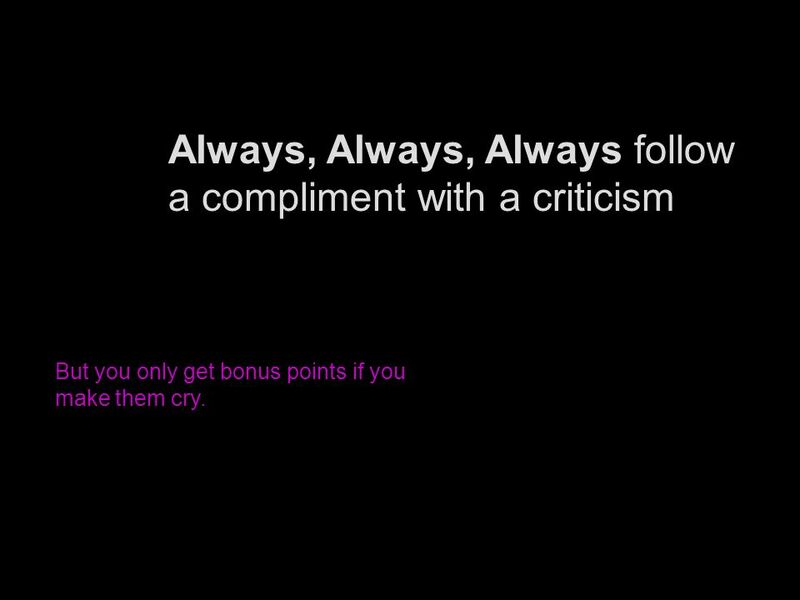 8 Always, Always, Always follow a compliment with a criticism But you only get bonus points if you make them cry. 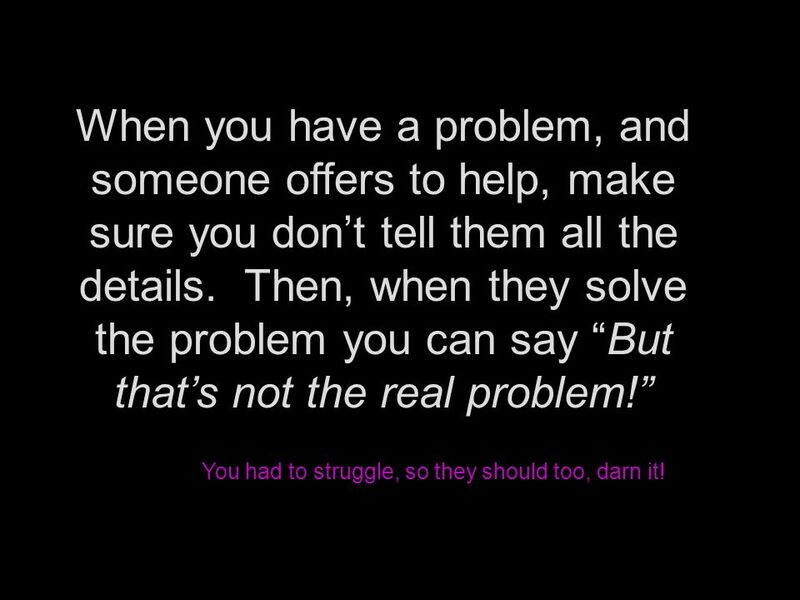 10 When you have a problem, and someone offers to help, make sure you dont tell them all the details. Then, when they solve the problem you can say But thats not the real problem! You had to struggle, so they should too, darn it! 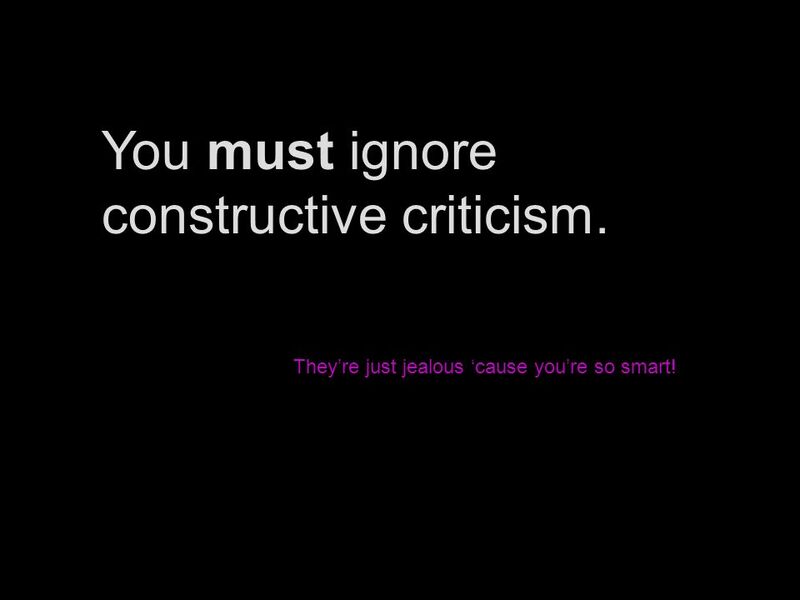 11 You must ignore constructive criticism. Theyre just jealous cause youre so smart! 12 Deodorant is for suckers Nothing says I dont care like your B.O. 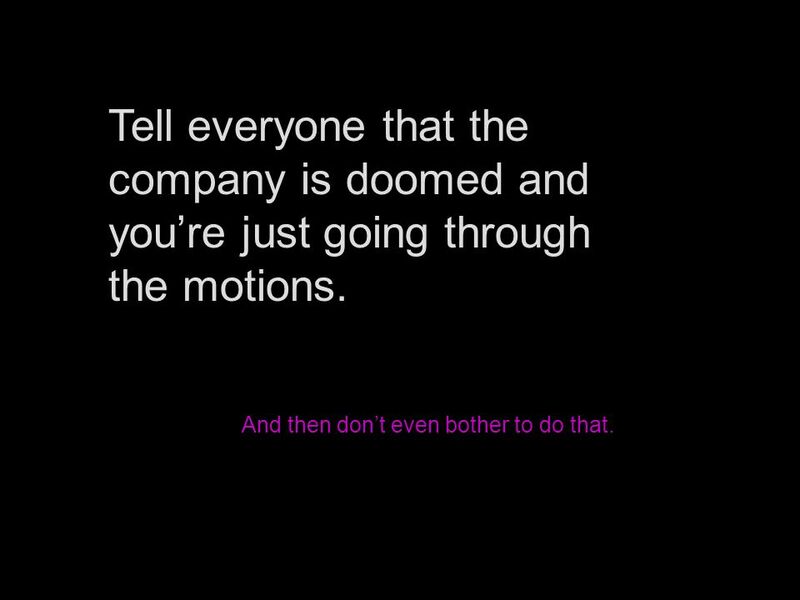 13 Tell everyone that the company is doomed and youre just going through the motions. And then dont even bother to do that. 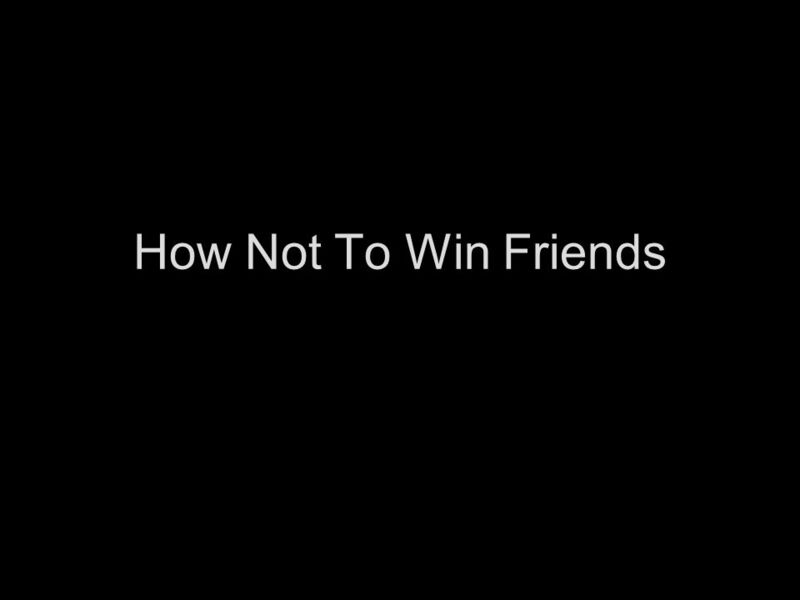 Download ppt "How Not To Win Friends. Never, Ever, fulfill your commitments. When asked why you missed the date, say I thought the date was later. When pressed say." Get. through back much go good new write out. Communication Skills I Statements You idiot!. Conflict Resolution Definition: The process of ending a conflict by cooperating and problem solving. Conversation Skills: When I Disagree. Definitions WordDefinition compromise the settlement of a dispute with a solution that benefits both parties criticism. BEAUTIFUL... LIFE! BEAUTIFUL... LIFE! The photos are great, but the philosophy is even better! 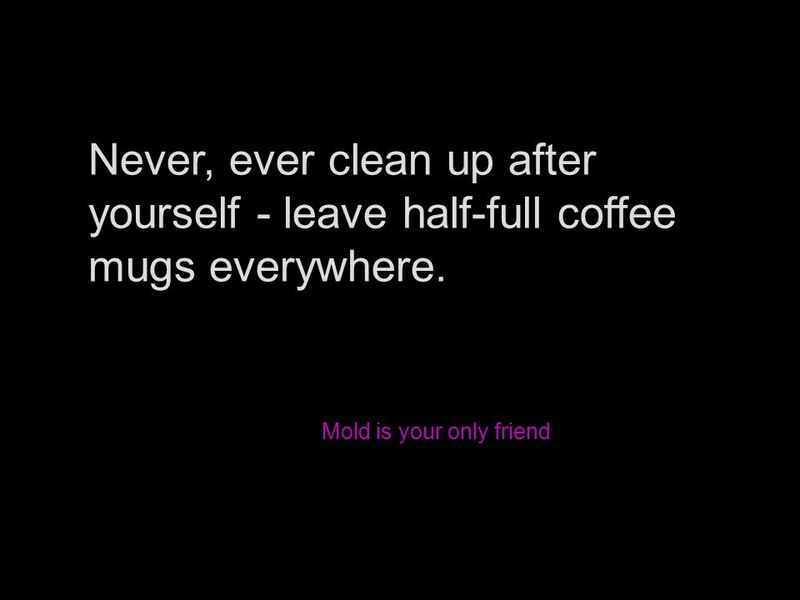 Nuggets of Wisdom From an forwarded by a friend. CONFLICT RESOLUTION How to work through conflicts without making a bigger mess! 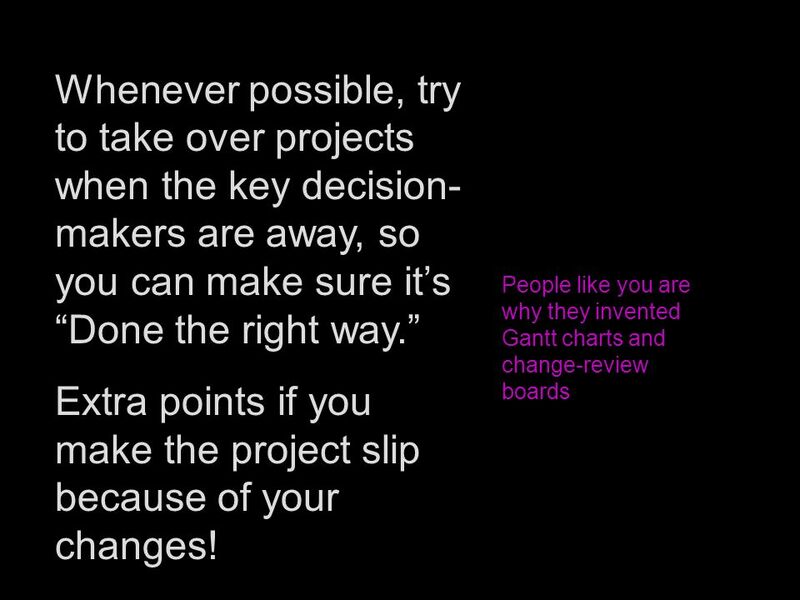 Successful Peer Review Strategies. Getting Ready for Peer Review What you get out of peer review depends on what you put into it. Your job as a writer.